Why pay $50 - $300 for an extra key to your apartment, condo building or parking garage? 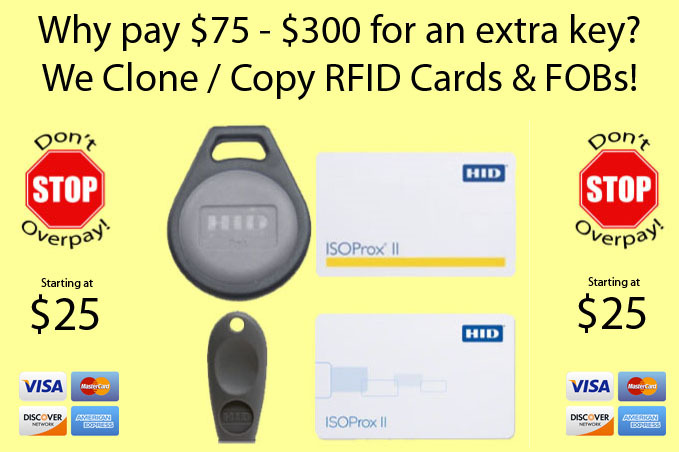 We can clone almost any RFID card or FOB - not just the ones in the pictures. to a new key FOB or card - your choice! $25 for the first copy $20 for each additional copy. If the original key gets deactivated, the clones will be deactivated as well. It’s an exact copy of the original.